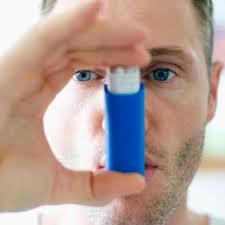 Asthma is a chronic illness that is very debilitating for anyone inflicted with this disease. Sometimes the onset is abrupt and very noticeable and sometimes it is a very slow progression. The bronchial tubes or airways develop an inflammation which in turn causes swelling and constriction of the bronchial tubes. This makes the ability to inhale and exhale a strenuous effort. However, with asthma treatment the asthma attack can be under control, but it will take time. The beginning focus of attention is on controlling the asthma and finding out what is causing the asthma. Asthma is not a new modern day phenomenon as it goes back through the centuries to the early Chinese, Greeks, Romans, and a few other cultures. Each culture had a different label they attached to asthma, but the end result remains the same. 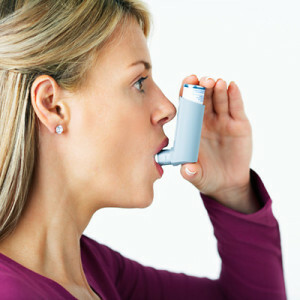 The symptoms of asthma are still the normal wheezing, coughing, gagging, choking, and at times the spitting up of phlegm. However, it seems more medical focus is on asthma today in the hopes of eradicating the disease in the future. Individuals who wish to be involved in various school sports will find they easily run out of breath and begin gagging, choking, and gasping for air after just a short sprint of exercise. Sitting down quietly and trying to catch their breath is one of the signals to have the children examined by the family medical physician. This can be such a scary and serious condition with children because young children are not able to withstand many of the current medications. The reason for this dilemma is because most prescription medication goes through manufacturing and testing with adults in mind. Heightened sensitivity or bronchial hyper-reactivity (BHR) is a twitching that occurs within the functioning lungs and causes some discomfort to the individual, but with the proper asthma medication it is controllable. Individuals who experience sensitivity are sometimes mistakenly receiving a diagnosis of asthma, yet it is not. There is such a fine line that the medical profession at times misdiagnosis an individual and it will take some time to explore all the asthma guidelines. Asthma is a silent affliction that affects everyone from all walks of life and at any age and this is why it is such a concern to the medical community. Some of asthma reactions are environmental and some is from a genetic disorder. Distinguish which one is which is difficult until the individual’s exposure to the proper diagnostics. There is a difference between an asthma attack caused through an allergy too and this complicates the diagnosis. In any event the medical community agrees this is a bronchial condition of the inflamed bronchi. The cause is what causes difficulty in diagnostics.